Small children often get afraid of the dark. Four recent infomercials promise to help with products that combine a stuffed animal and some sort of light. But it is not clear how any of these toys will be an effective defense against the infernal specters and ax-wielding psychopaths children fear will assault them in the gloom of night. Your kid refuses to go to sleep? Give him a Glow to Bed Friend! The kid still won’t sleep because he’ll be spending all night scribbling on his Glow to Bed Friend, but at a least he’ll be out of your hair. “Glow Unicorn loves to stay at grandma’s and play”—but don’t take Glow Worm there; he hates that dried up old prune. “Glow Ladybug knows when you need a hug”—whereas the Glow Tiger is more likely to rip your face off if you look at him funny. 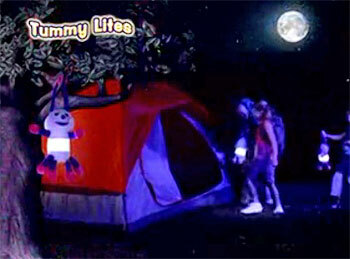 Tummy Lites combine a stuffed animal and a lantern. Yes, a lantern. No kid can resist the excitement of using the same type of lighting instrument employed by train conductors in 1909. Kids will have so much fun pretending their Tummy Lite has committed a heinous crime and must now be hanged by the ears or arms as a form of cruel and unusual punishment. Surely some child will wake up delighted the next morning to find his favorite plaything encrusted in leaves, mildew, insects, bird poop, and squirrel piss. I was unaware that children refused to use normal flashlights, but at least it’s a more up-to-date form of illumination than a lantern. “Kids find all kinds of fun ways to use their Flashlight Friends” we are told, before a flash of light exposes a thoroughly startled Santa Claus. Santa specifically forbids this sort of behavior, so those kids who think they’re so clever with their Flashlight Friends will get rewarded with a sooty mess in their stocking and a lifetime placement on Kris Kringle’s naughty list. 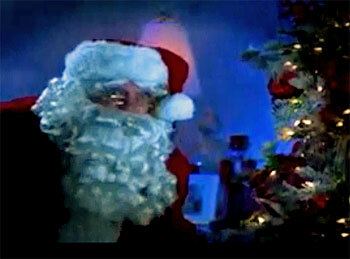 Instead of troubling a kindly gift giver, children should be encouraged to walk the night streets aiming their Flashlight Friends at the likes of hookers in parked cars and drug dealers in back alleys. These nefarious characters who ply their unwholesome trades under the cover of dark will be terrified to get a beam shone on them straight out of the belly of a Purple Panda. 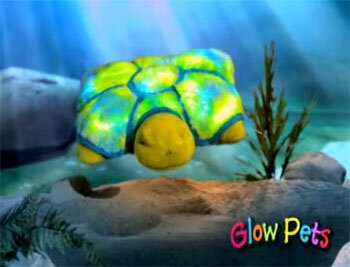 The Glow Pet turtle looks more like a multi-colored, illuminated 3rd base—great for a game of night baseball! In the morning these girls will paint seams on their legs because of wartime rationing. 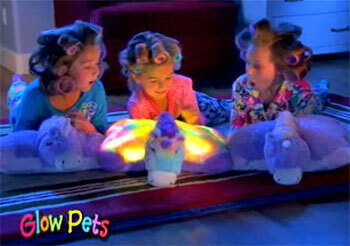 The infomercial assures us that Glow Pets are “very rare.” Very rare?? If six months from now I see a bin at the Dollar Store overflowing with Glow Pets I’m going to feel very betrayed.